NEWPORT BEACH, Calif.—Erica McKenzie is a registered nurse who has not only seen many patients come back from the brink of death with reports of experiencing the other side, but who has also had her own profound near-death experience. McKenzie spent months in a psychiatric facility after telling a doctor about her experience. Without any previous history of mental illness, at the age of 31, she found herself on high doses of medication and separated from her children. She learned she had to lie to have her medication decreased and to eventually be released. When the staff at the facility would ask her, “How are you today? Did you go to heaven?” she learned to reply that she hadn’t, even though she felt deeply her vivid experience of the afterlife. Healthcare professionals discussed how to better approach patients reporting near-death experiences (NDEs), as part of a panel at the International Association for Near-Death Studies (IANDs) 2014 Conference, August 28–31. While there are people who have hallucinations and need certain treatments to function well and live healthy lives, noted some psychiatrists at the event, NDEs should not necessarily be lumped in with such hallucinations. NDEs are fairly common among people who’ve had brushes with death. 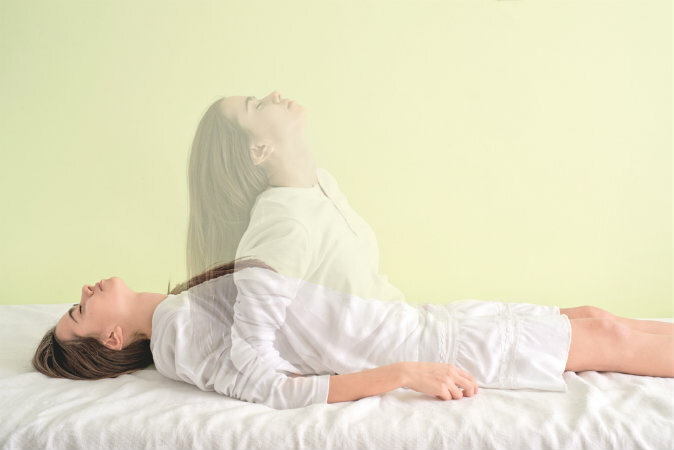 Reports of communication with angels or deceased people, whether as part of an NDE or otherwise, shouldn’t be immediately discounted as hallucinations, the healthcare workers said. The panelists, immersed in the healthcare community, could testify that many doctors and other professionals are open to the idea that NDEs are genuine. 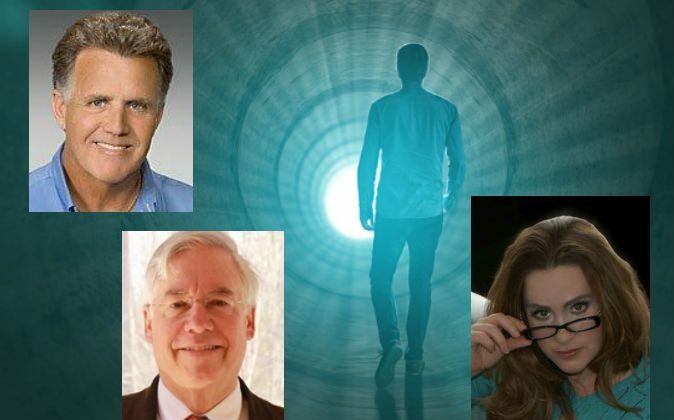 While the most common reaction is to immediately dismiss what the patient says as a dream or hallucination, these panelists found that after discussing NDEs with doctors and educating them, they became more receptive and even enthusiastic about the NDEs reported by their patients. Julijan Naskov, MD, said he has encouraged his colleagues to record with him privately the NDEs they have heard. While they won’t necessarily openly discuss NDEs, the doctors are comfortable with this method. Psychiatrist J. Timothy Green said he gave an atheist neurologist he knows a copy of Dr. Eben Alexander’s book, “Proof of Heaven.” Alexander has been an academic neurosurgeon for more than 25 years, including work at Harvard Medical School in Boston. He thought that NDEs were fantasies produced by the brain until he had his own. After reading Alexander’s book, the doctor became more open to at least hearing his patients describe their experiences. This doctor enthusiastically told Green of one NDE he heard: a patient in her 60s saw her dead father standing in front of a bright light. She wanted intensely to go to the light, but her father said it’s not the right time. She tried to run around her father as she did when she was a little girl, but he caught her in his arms and told her she can’t go into the light yet. Many elderly NDEers are slapped with the “dementia” label, said psychologist Liz Dale. She works with patients at San Francisco General Hospital and in nursing homes. When she encounters an NDEer, she removes “dementia” from the file after assessing the patient if the NDE is the only reason that diagnosis has been given. “I think it’s unfair to say that somebody who is in a spiritual emergence or who just had an NDE or is noticing somebody is helping them to cross over, that they should then be diagnosed with a cognitive deficit—that’s what I’m against,” Dale said. An audience member who works as a psychologist pointed out that about 15 years ago there was an effort to get “spiritual emergence” officially recognized and included in the Diagnostic and Statistical Manual (DSM) that guides professionals in diagnosis. It was a failed effort. Jan Holden of the University of North Texas said a recent study of hers, which has just been accepted for publication in an American Psychological Association journal, looks at how NDEs are received by healthcare professionals. She examined 188 cases in which NDEers disclosed their experience to healthcare providers. The majority, 4 out of 5, received positive or neutral responses. The 1 out of 5 that received negative responses were often those who impulsively told healthcare providers about their NDE right away. The most positive cases were those in which the NDEer waited to talk about it, waited perhaps until they gauged an appropriate and receptive environment. Krista Gorman, a physician’s assistant and NDEer, waited more than a decade to openly discuss her experience. “I was terrified of sharing it,” she said. When she told her boss, a head doctor at the hospital where she works, that she was coming to the IANDs conference to discuss her NDE, he was supportive. He said, “I mean, I believe in all that,” recalled Gorman with a laugh. As she’s opened up about her experience to her colleagues, she’s had mixed responses. “The responses that I focus on, that I give my attention and energy to, are the supportive ones,” she said. An audience member who works as a psychiatrist in Vancouver, Canada, warned against going to extremes by looking down on all doctors who dismiss or react negatively to NDEs. “We have to be careful that we don’t get into polarization,” she said. “We’re all learning together.” She has found through her efforts to educate healthcare workers in Vancouver about NDEs that many react positively and are more open to listening to their patients’ experiences.